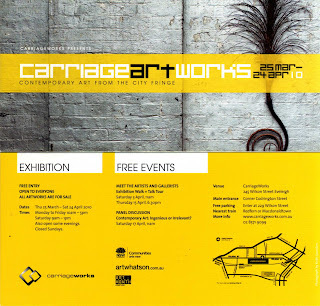 The second CarriageArtWorks exhibition involved Pam Aitken, Francesca Mataraga, Marlene Sarroff, Liz Shreeve and myself from Factory 49, as well as artists from Alpha House, Black & Blue Gallery, Hardware Gallery, Lennox St Studios, Marnling Press, May Street Studios, NG Art Gallery, Oh Really Gallery, Sheffer Gallery and Wilson St Gallery. 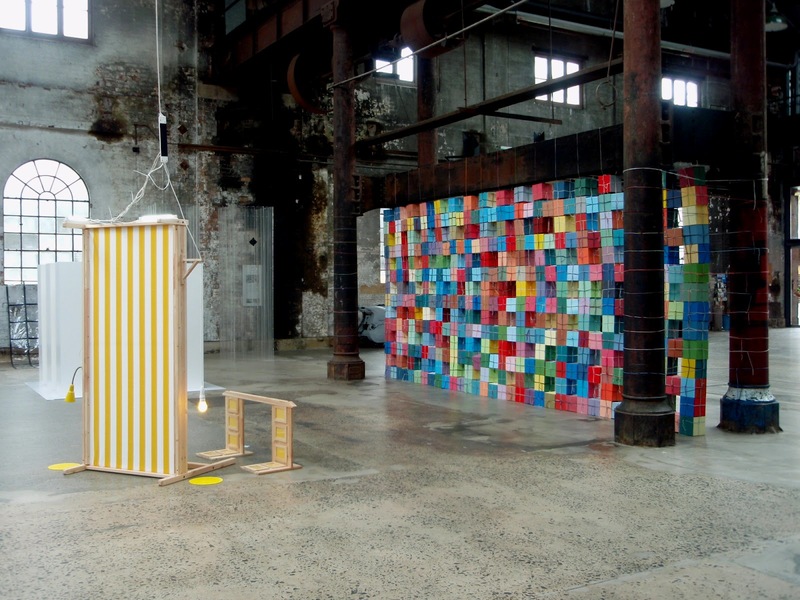 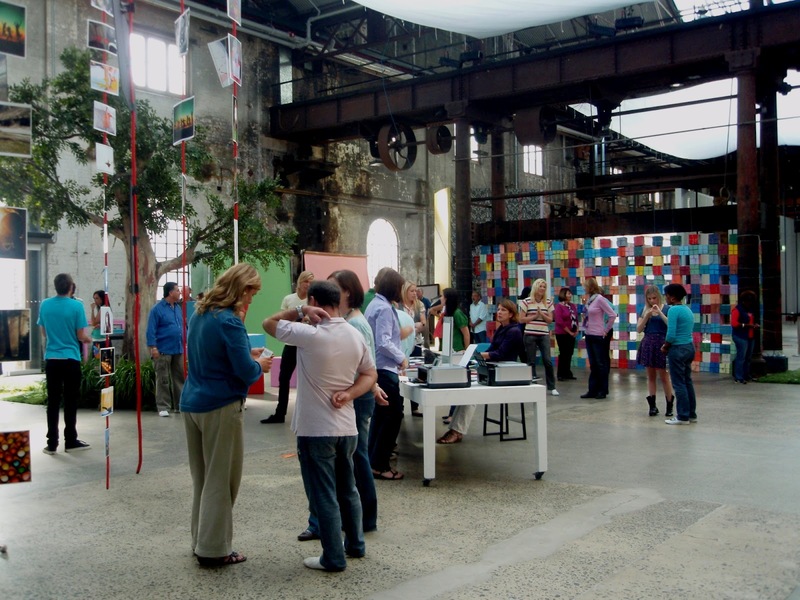 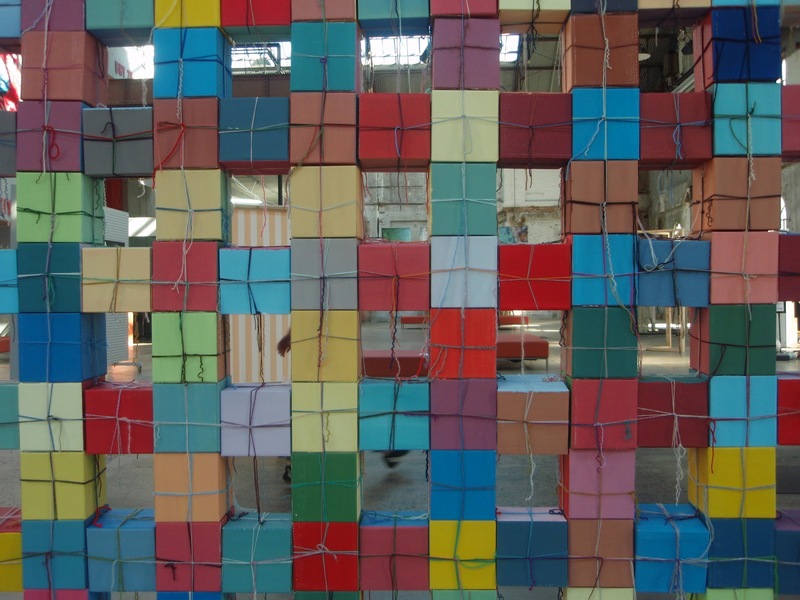 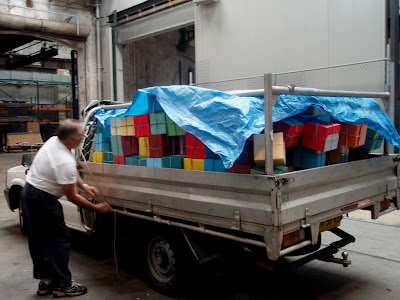 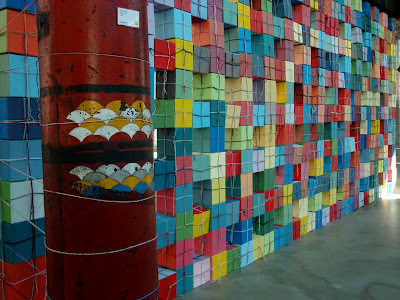 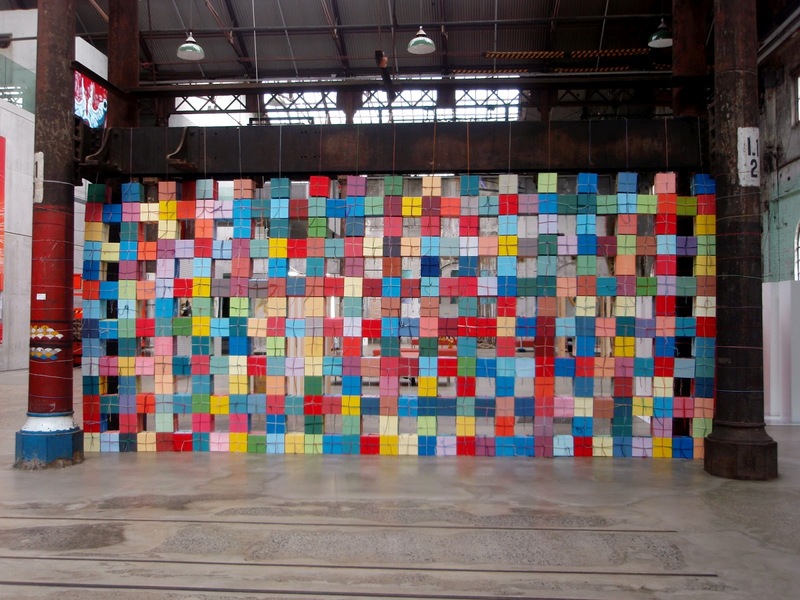 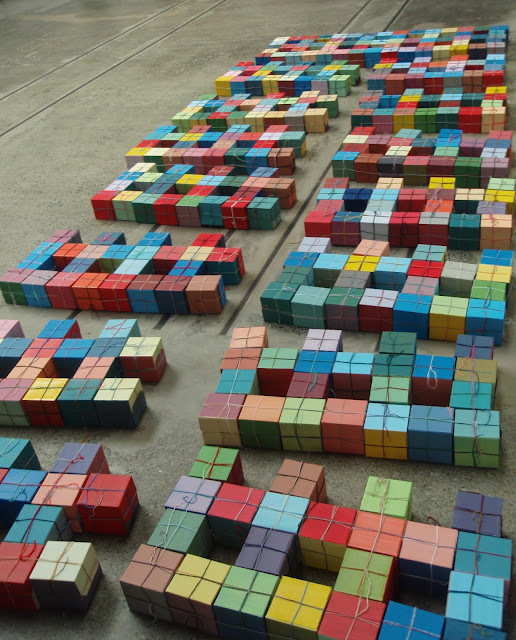 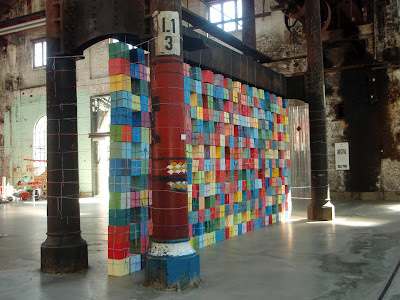 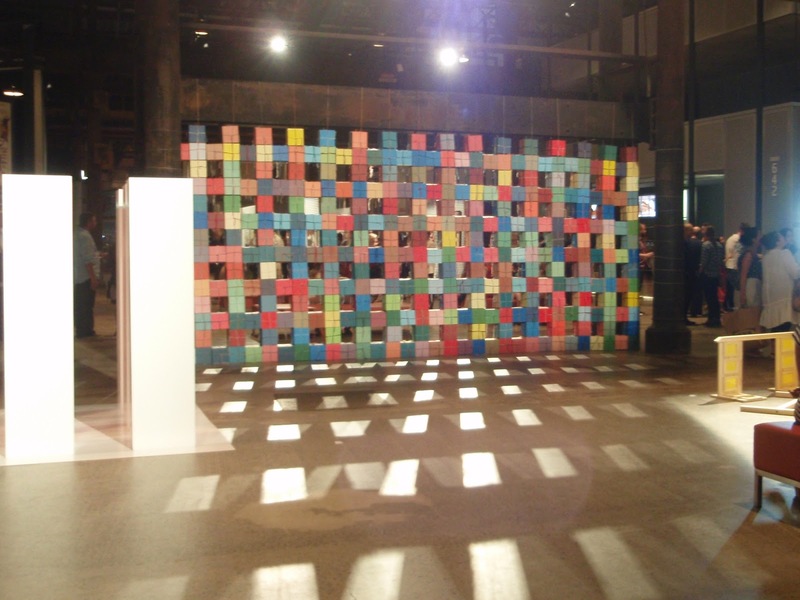 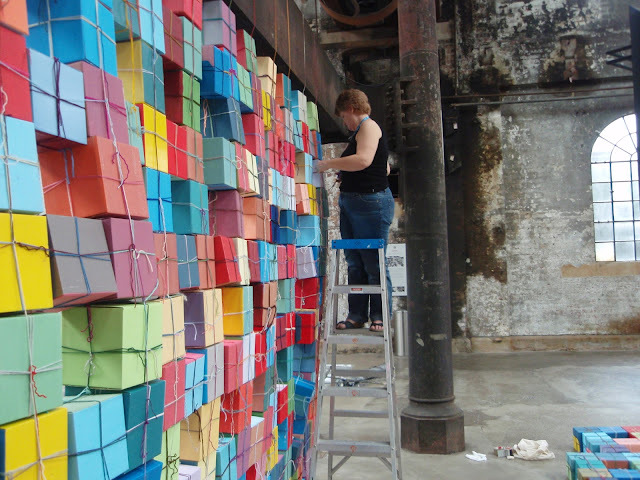 I created the 'Cube Wall' to span the space between two sets of steel columns within the Carriageworks space. 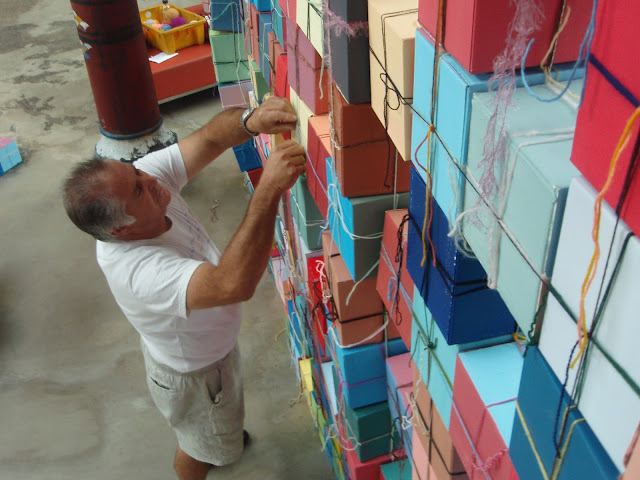 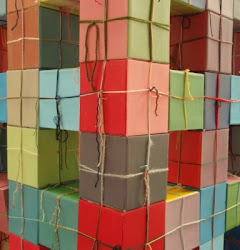 The cubes were tied to each other with wool and tied off to the side columns and top beam. 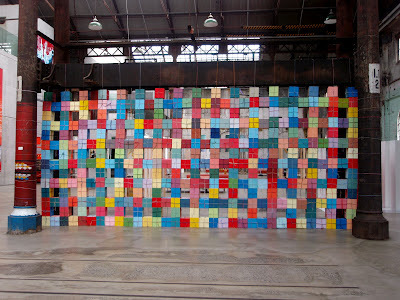 I was asked to hire out the 'Wall' to be used in a Canon camera advertisement. 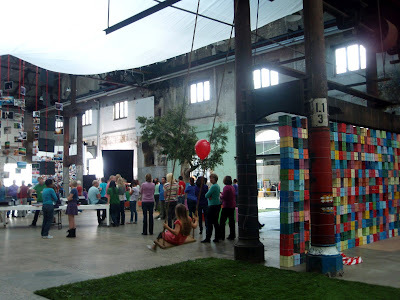 The above 2 shots are from the filming of the advert and here is a link to the finished product - CLICK HERE to view the advertisement - the Wall appears in the background from about 24 seconds to 26 seconds!